’Definitely! 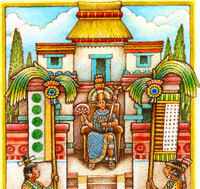 Aztec society was broadly divided into nobles-by-birth and commoners (everyone else). We can safely say that nobles were generally richer than commoners. Power and wealth went hand in hand, and nobles had special rights that allowed them to amass and display great wealth: they controlled lands and the commoners who worked those lands, they received tributes in goods and services from their subjects, and they enjoyed the best jobs in the realm (like ruler, general, ambassador and tax collector). 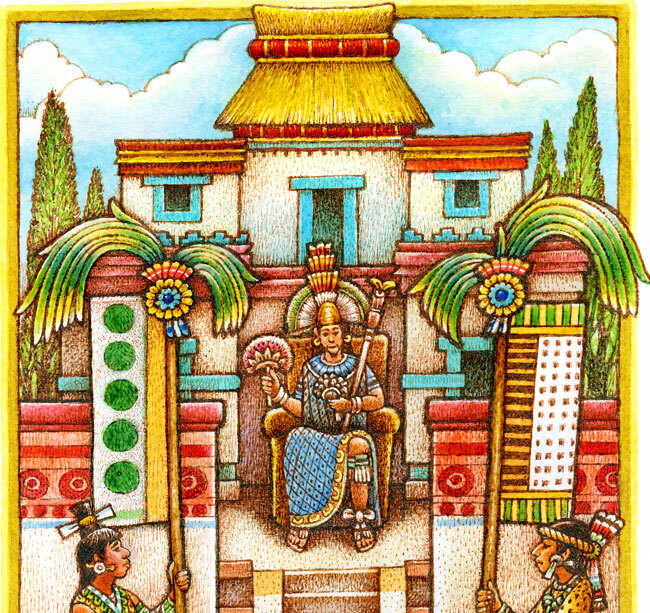 ‘The ruler was the richest of all, commanding vast tributes from his imperial conquests: shimmering tropical feathers, precious stones, gold, chocolate and all kinds of food and clothing – all of which he kept in his palace storerooms. What did rulers and other nobles do with such vast wealth? They built grand palaces of expensive materials and the finest workmanship. ‘They also used a lot of it for public and ceremonial displays – for instance, inviting enemy or allied rulers to lavish feasts to show off their great wealth and power. They sponsored large building projects, paying their artisans well (not well enough to make those artisans rich, but neither were they poor). 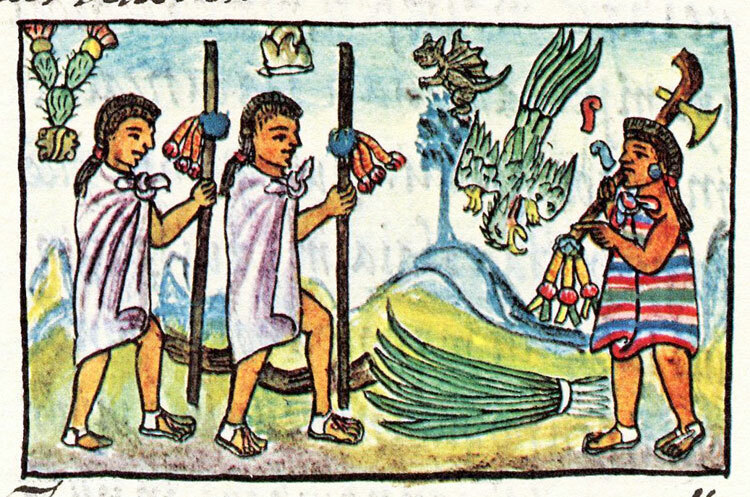 And they went about exquisitely dressed and adorned – the best way to tell who someone was in Aztec society was simply by looking at them. 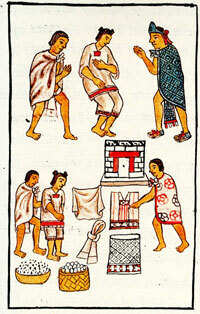 ‘The professional merchants (pochteca) are particularly interesting in terms of wealth. These daring merchants (who were commoners-by-birth) traveled far and wide, sometimes gaining a great deal of wealth. Some of them were so wealthy that they risked making the nobles jealous. 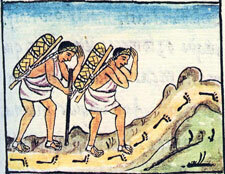 ‘Hence, when the pochteca returned from a long, successful trading trip, they would sneak back into their city, at night, and conceal their rich and abundant goods. These merchants would spend their wealth on ceremonial feasts among their fellow merchants, gaining prestige and high positions within their merchant ‘guild’. 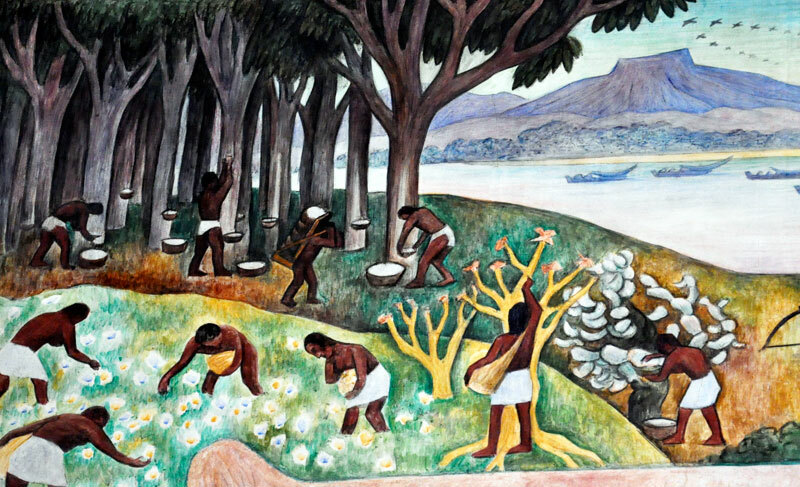 ‘In contrast to nobles, farmers and other producers went about simply dressed and generally had few household possessions beyond the basic necessities. 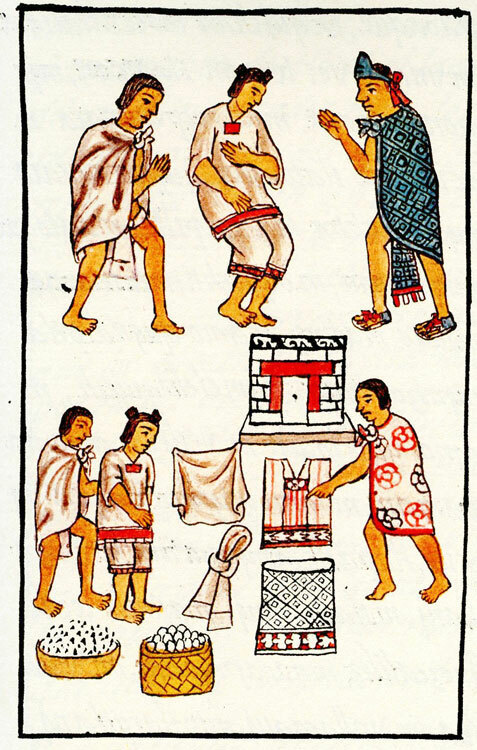 Yet there were wealth differences among commoners: excavations in commoner houses in Morelos by Michael Smith have shown that some commoners had more fancy possessions than others, some possessing decorated pottery and even jade. Read another expert’s answer to this question! Did they really have chocolate back then? cuz that doesnt seem right. just wondering. 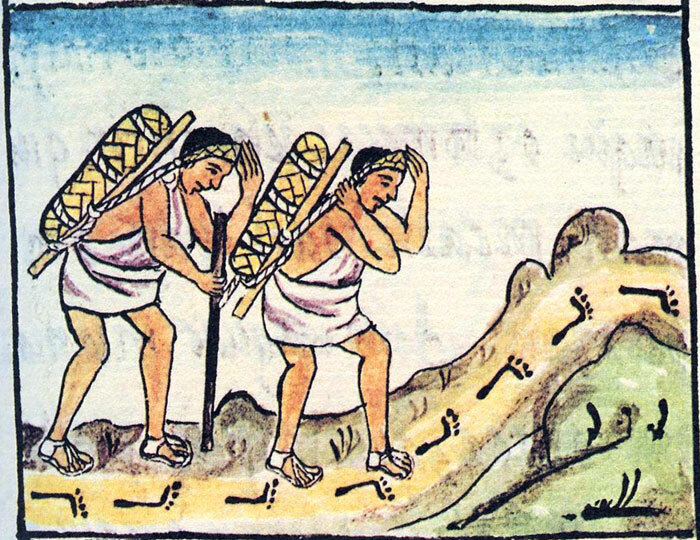 Mexicolore replies: You bet they had chocolate back then! That’s where it comes from!